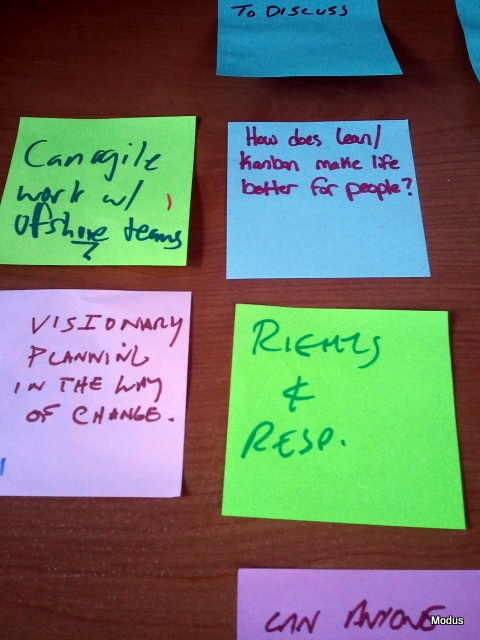 Have you ever used the Lean Coffee format for a meeting? It’s a tool I’ve been so pleased to use in a variety of formats in recent years. I’ve used it for governance meetings, team retrospectives, and open agenda meetings where there is no pre-existing agenda other than to do Lean Coffee. 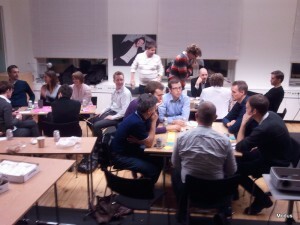 What is the Lean Coffee format? In this Personal Kanban we have the items to discuss, what we are currently discussing, and the discussed columns. People all get pads of post-it notes and a pen. They then start to add their topics for conversation into the “to discuss” column. These can be literally whatever people want to discuss or follow a theme. Right now, we want to encourage as many unique ideas as we can. When the ideas start reach a certain point (an you’ll be the best judge of when that is), each topic gets a 1 to 2 sentence introduction. This way people know what to vote for. Each participant gets two votes. You can vote twice for the same thing or for two different topics. Simple put a dot on the sticky you are interested in. Tally the dots. Then you are ready to have a conversation. The power here is that you now have a list of topics everyone at the table is interested in and is motivated to discuss for real. End of content from leancoffee.org website. It supports the discipline of being a self organizing team. Time boxing helps to keep the meeting from getting stale and boring. The proof is in the pudding. 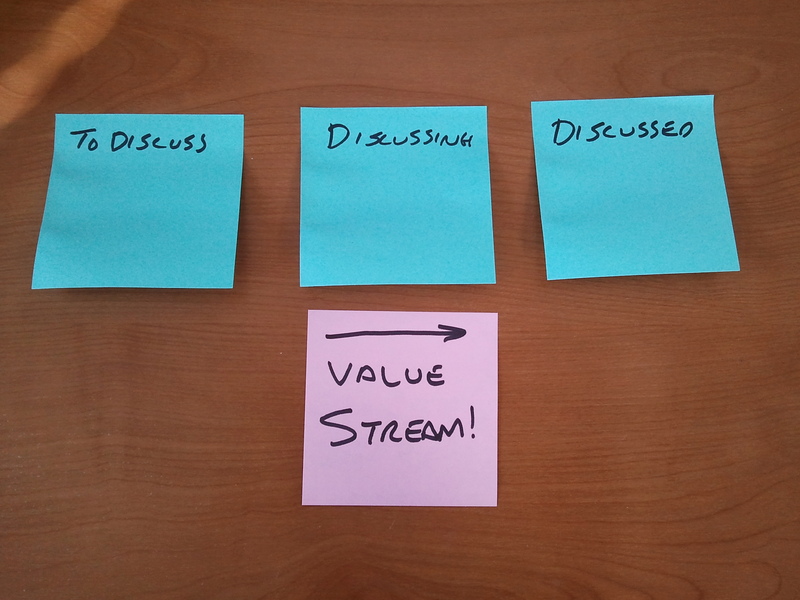 Some of the best conversations I’ve every been a part of have been while using the Lean Coffee format. You have a very specific agenda that needs to be adhered too. There’s only 2-3 participants in the meeting. 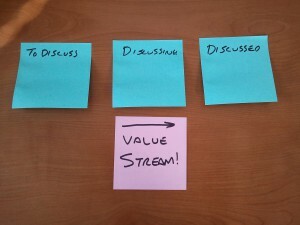 You are talking with customers or the participants may have never heard of lean coffee. Your participants are knowingly “anti agile”. Need more info still? 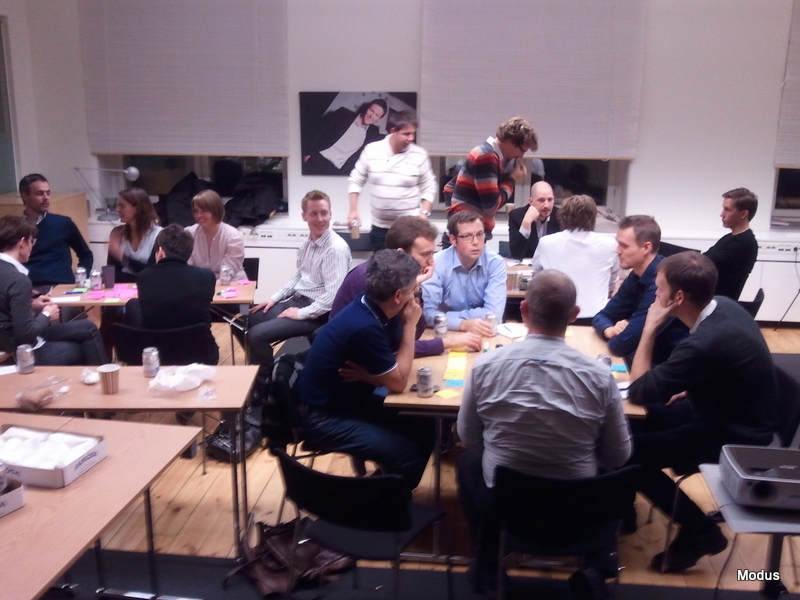 Here’s a great video showing a sample lean coffee meeting. This week I was talking with some fellow colleagues about starting a Lean Coffee for our organization. We have a national (soon to be international) footprint and a ton of knowledge out there, but how to bring it together? So I thought the lean coffee meetings would be a great way to bring people together to inspire, encourage, equip, and empower each other. It could also create a consistent venue where we can work together to solve challenges for our clients. I had a few different people suggest using a tool called IdeaBoardz. 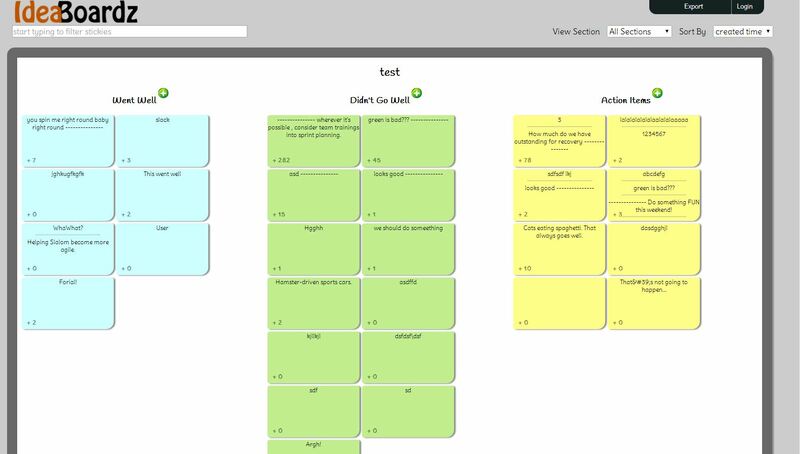 I want to share this tool not only because think it will be great for Lean Coffee but it has value for things like brainstorming, story boarding, and retrospectives. Especially if you have co-located teams. It’s simple to use and has just enough functionality to make it useful. And best of all…it’s Free! You can take it for a test drive without having to sign in or create an account. Please Note I am in no way affiliated with IdeaBoardz and receive no compensation for writing this article.